Of all the ways one could describe Halloween, most people wouldn't call it "comforting," but to me it is. My feelings for Halloween go waaaay back. Most kids love Halloween. Why wouldn't they? Kids love to dress up in costumes for "pretending" anyway, and what kid doesn't love running around with friends - getting candy for doing these two things is a bonus! I truly enjoy other seasons, but for some reason, the sites, sounds, and scents of Halloween invoke a special feeling of comfort. There is something exciting and magical about little orange lights on trees and bushes, dramatic spotlights, spooky figures as decorations on lawns and carved jack-o-lantern faces. The Harvest Moon in the inky black or cloudy sky is captivating. The crush of leaves underfoot and the spooky sound of winds blowing around the house on stormy October nights is thrilling. 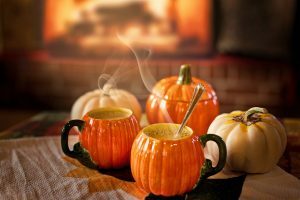 The smell of fireplace fires and bonfires is charming to me, as is the scent of cinnamon and other spices used in autumn treats and in hot cider. All of this appeals to my imagination, and yes, it brings about feelings of comfort. I would venture to say, Halloween is a holiday that celebrates outsiders. Those beings we fear are celebrated on this holiday. 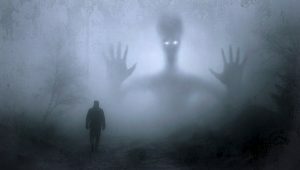 Those who are typically persecuted - witches, Frankenstein's monster (or ANY monster), vampires, ghosts, aliens and more - get a day - and a night - to shine. Well, while most of us enjoy feeling welcomed, included and valued, more often than not, we likely all feel like outsiders from time to time. So, celebrating the outsider allows us to celebrate the fact that sometimes, we all feel like we don't fit in - but want to be valued for who we are. Since I write a blog about teens, consider this dichotomy: Many teens would like to be "popular," and for most people, being "popular" means being liked by everyone, being admired, being accepted and feeling special (but interestingly, not every "popular" kid feels this way). Feeling accepted for who you are is a basic human need for certain, and feeling like there is something about you that is valuable and worthwhile is part of having a proper sense of self-esteem. I've always found it interesting, however, that no matter who we are, the books and movies of popular culture typically celebrate protagonists who are anything BUT popular. I think it's because, although our culture outwardly celebrates those folks who are "good at everything," "never lose" and are "always on top of their game," we like books and movies about outsiders because the majority of us feel like we can somehow relate to the outsider for whatever reason. Consider Luke Skywalker, Harry Potter, Katniss Everdeen, Beatrice Prior, Peter Quill, Batman, Spiderman, Superman, Black Panther, etc. All of these characters have a sense of being the "outsider" who is misunderstood or feels troubled (an extreme example is the "Suicide Squad" movie and a full cast of misfits). Even in comedies, the protagonists are often outsiders who become victorious in the movies for their quirkiness: Pitch Perfect, Animal House, Revenge of the Nerds and the list goes on. Conversely, popular culture often demonizes "popular" people. The standard is "Mean Girls" showing how "popular" girls manipulate wannabe girls. In the Netflix series "13 Reasons Why" the male athletes, in particular, are almost all depicted as heartless sociopaths (which I think is grossly unfair, by the way). I've found it helpful to point out to teens who feel that they aren't "popular" that it's worth noting that there wouldn't be so many examples of characters who feel "out of place" and are trying to find their way if so many people couldn't identify with those experiences. So that is part of Halloween - celebrating what is different, exploring becoming someone else by wearing a costume to try on a persona, taking joy in spookiness (when we usually fear it), and combining all of this with the beauty of the season. 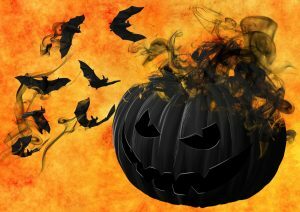 Each year, Halloween brings back the memories of Halloween from my youth, the joy of being scared watching thriller movies or sitting by a campfire hearing ghost stories. It is in celebrating these simple joys, shared experiences and feelings that life matters that we find our sense of wholeness and completeness.